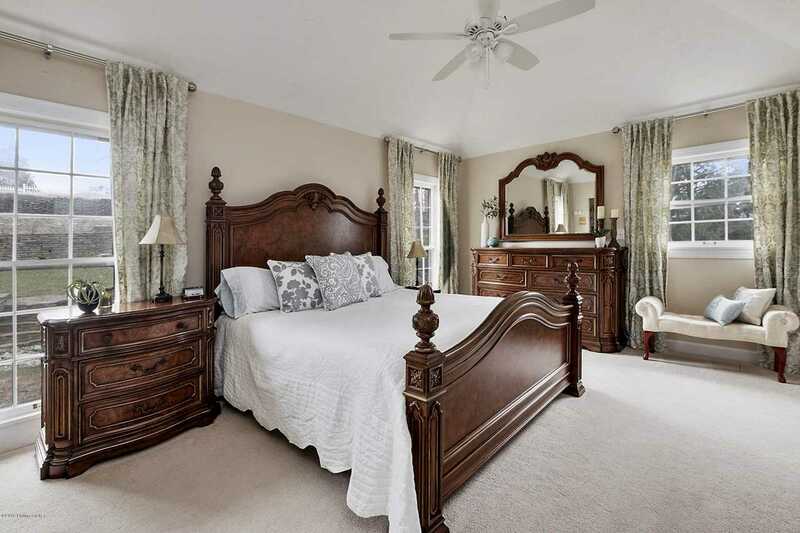 4 Bedrooms | 4 Baths | 4555 Sq. 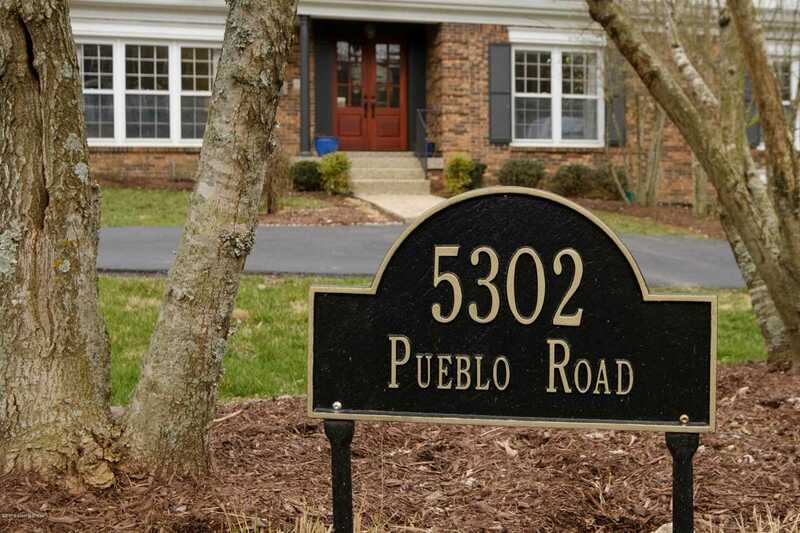 Ft.
Indian Hills is acclaimed for its extraordinary natural beauty and preserved green spaces as well as its ideal location near downtown, nearby restaurants, shopping, parks and interstates.Welcome to 5302 Pueblo Rd., a spectacular 4 bedroom, 3.5 bath ranch home that has been impeccably maintained and improved by the current homeowners. 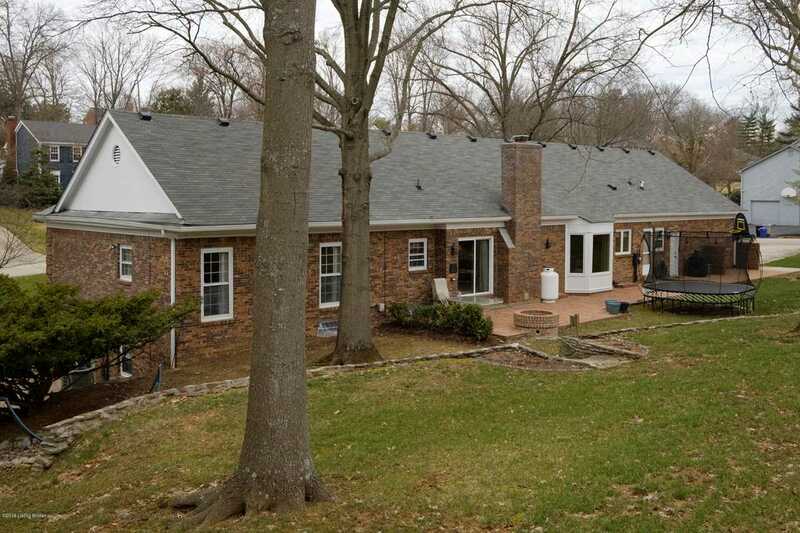 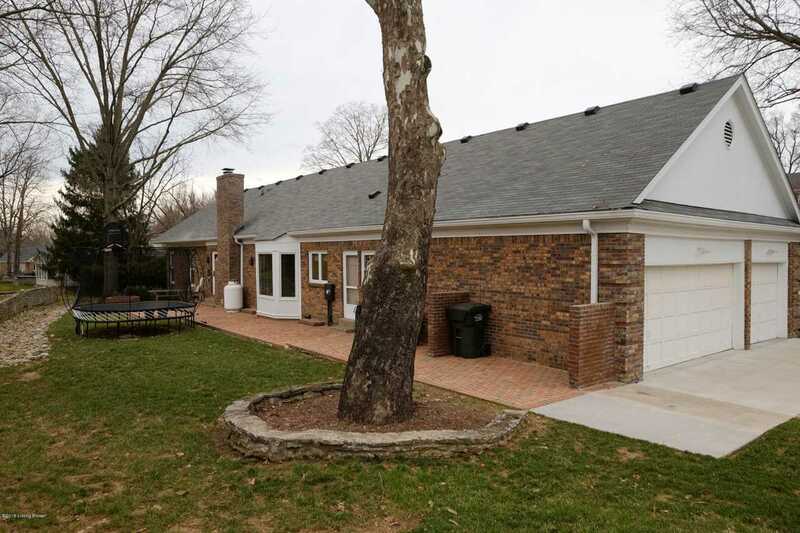 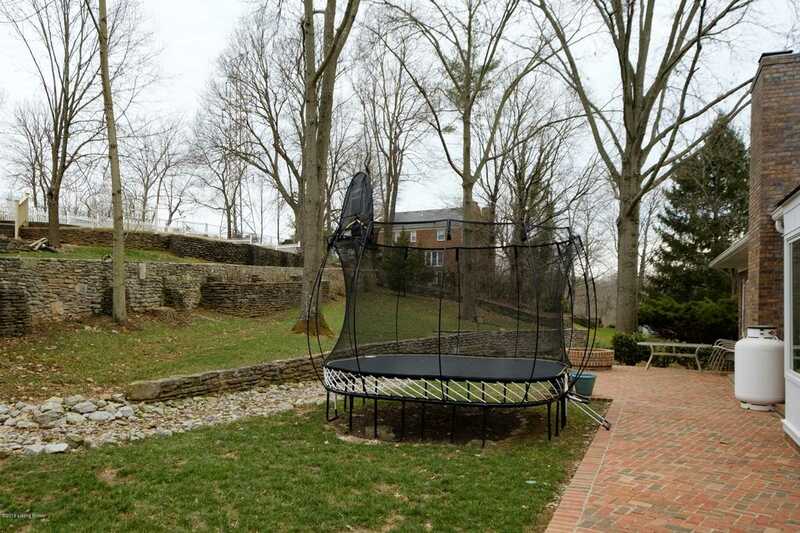 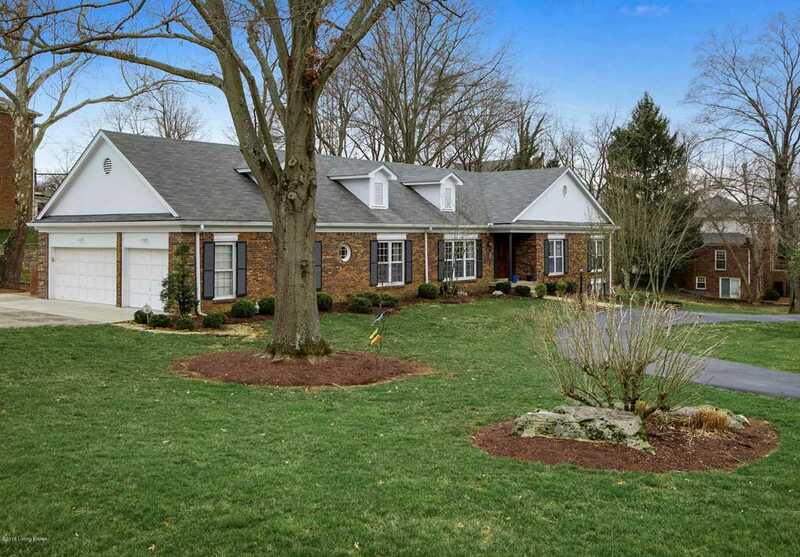 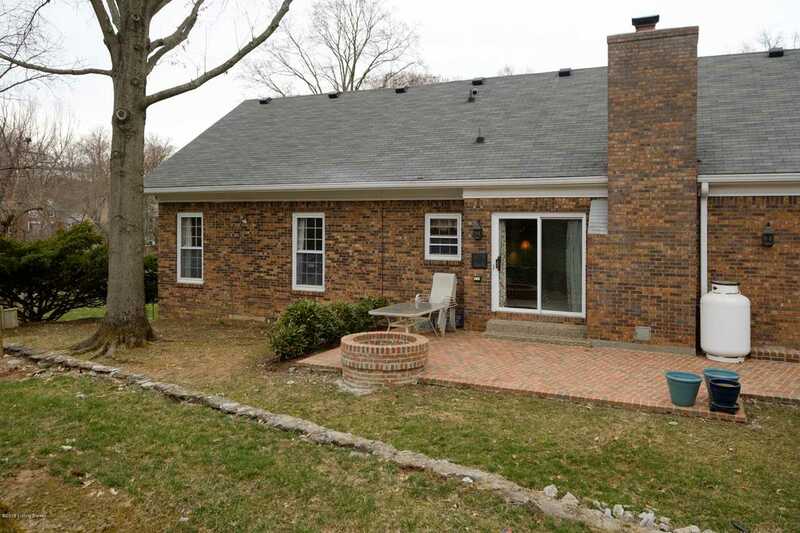 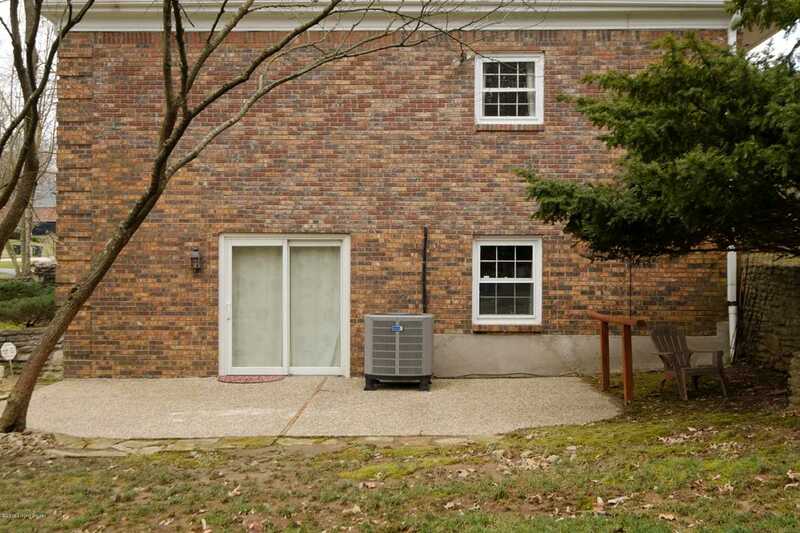 Located on over 1/2 acre, with mature landscaping and recently added large brick patio and beautiful natural stone wall, you can enjoy the outdoors from several patio locations. 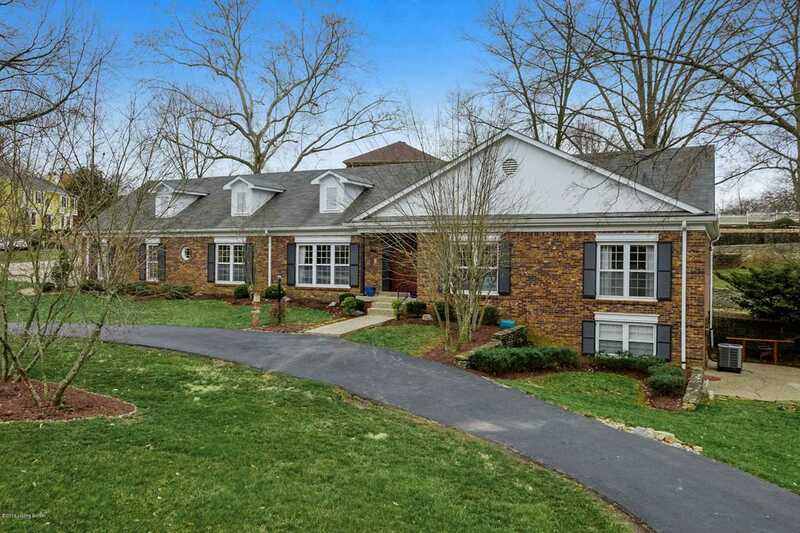 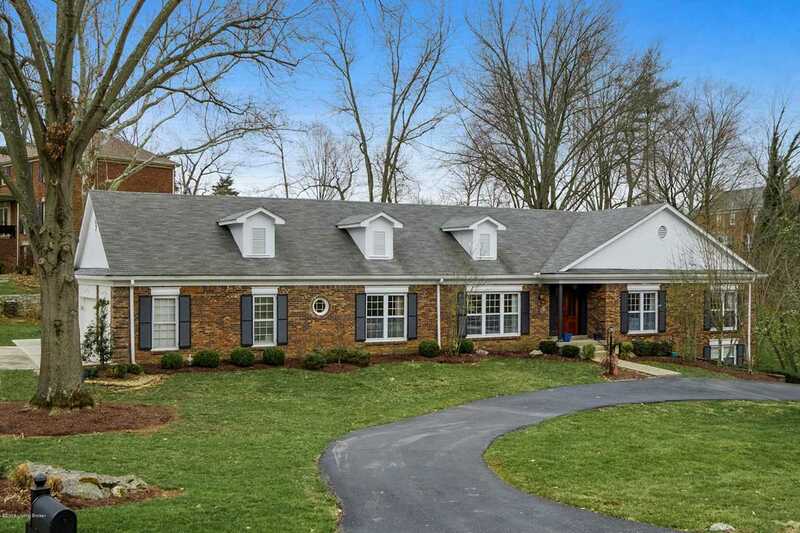 A gracious circular driveway provides for easy entrance for guests and a second side access driveway to the three car garage allows for ease of living. 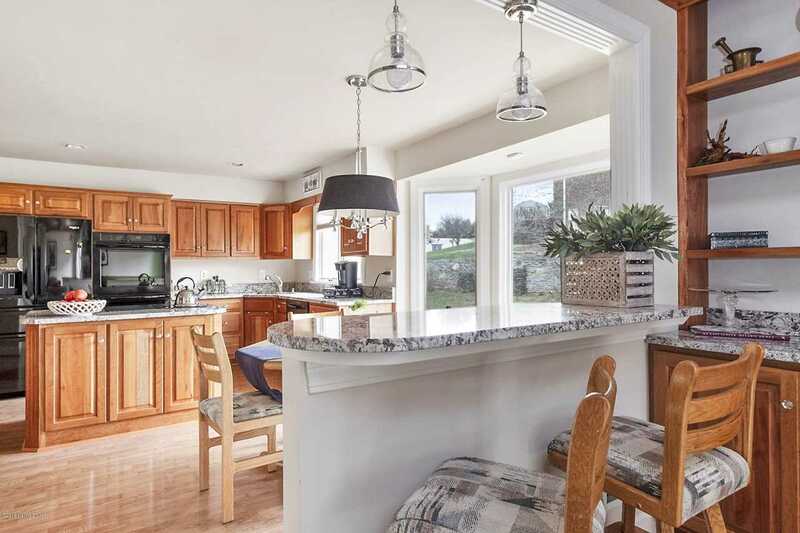 A well-designed open floor plan, gorgeous architectural details and high-end finishes come together to create a home that is stunning and welcoming at the same time. 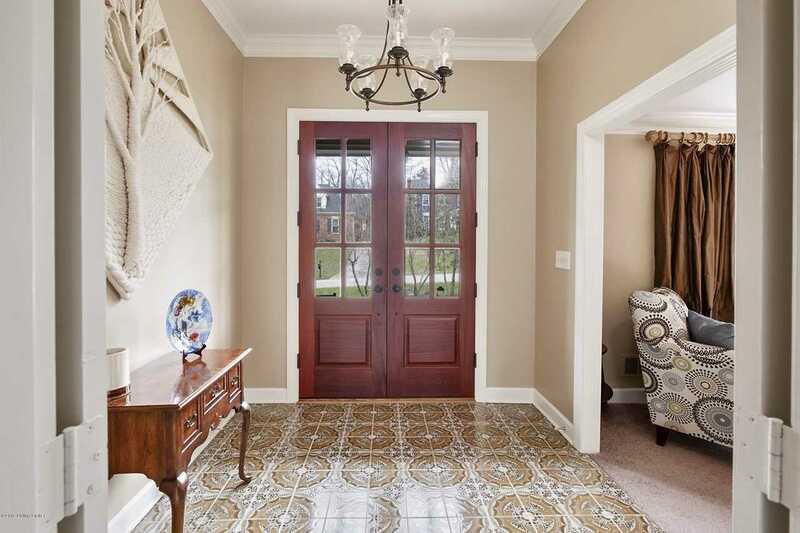 The elegant entry opens to a large living space with expansive windows along the front of the room. 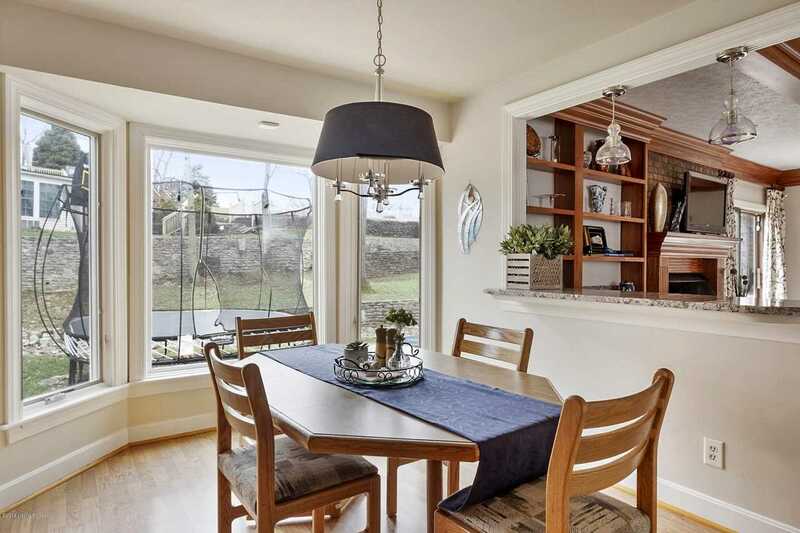 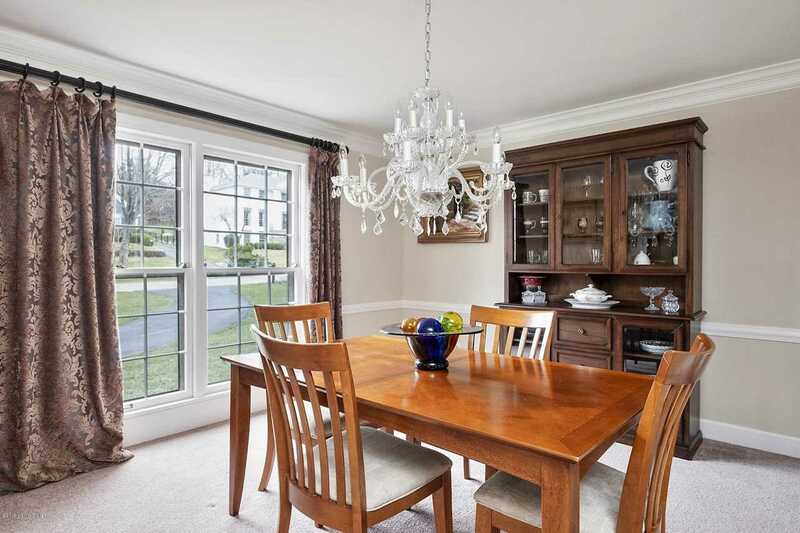 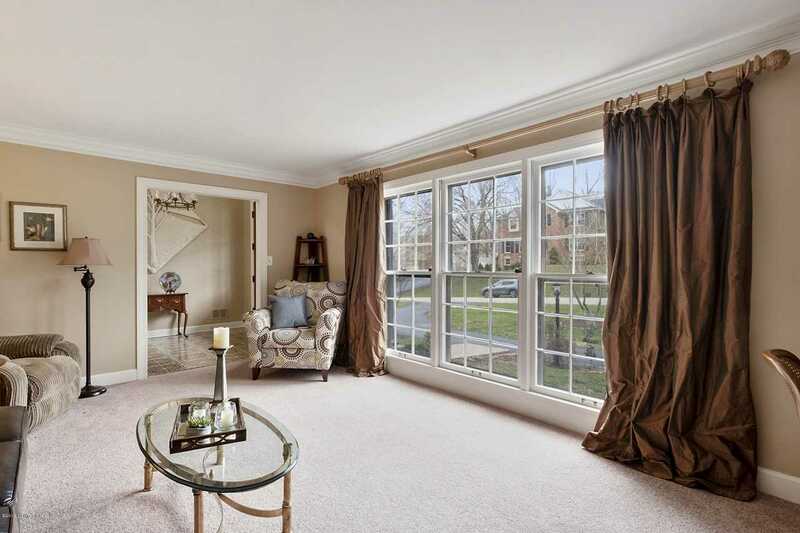 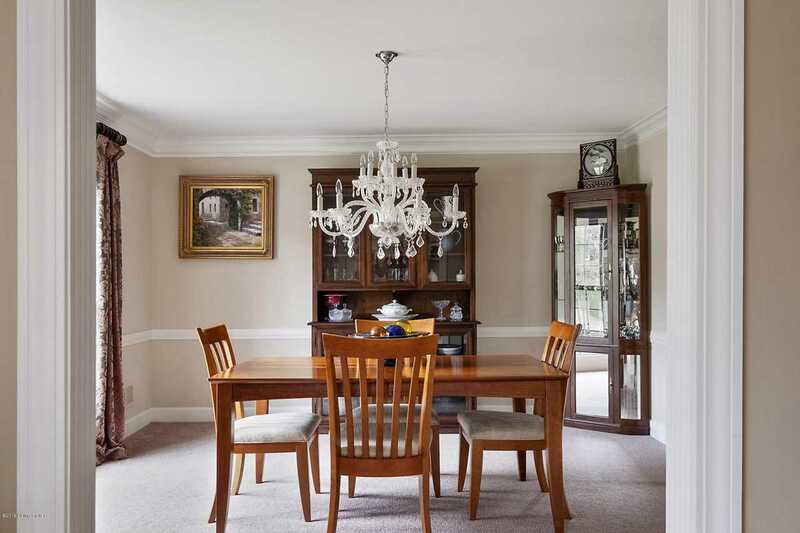 Adjacent to the dining room, this is a wonderful space for entertaining or just relaxing and enjoying the view. 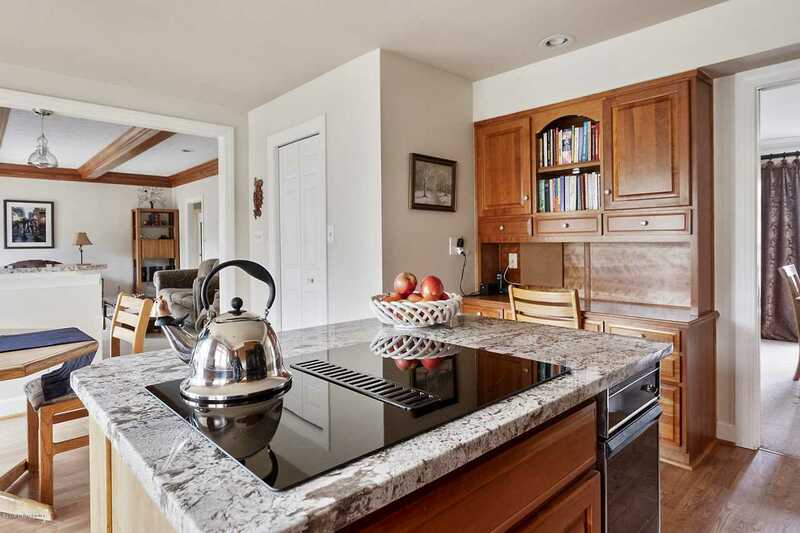 The eat-in kitchen is perfectly designed with a center island that allows ample space for food prep and beautiful granite surfaces. 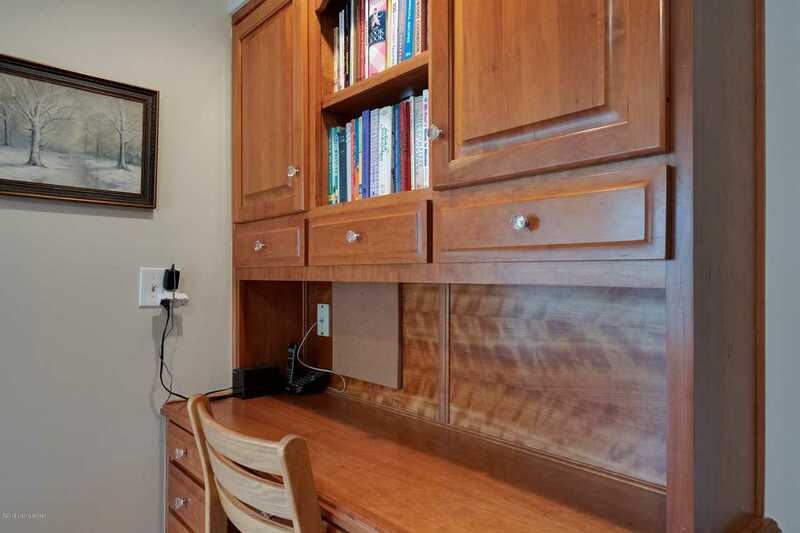 A built-in desk area is so convenient for managing the household. 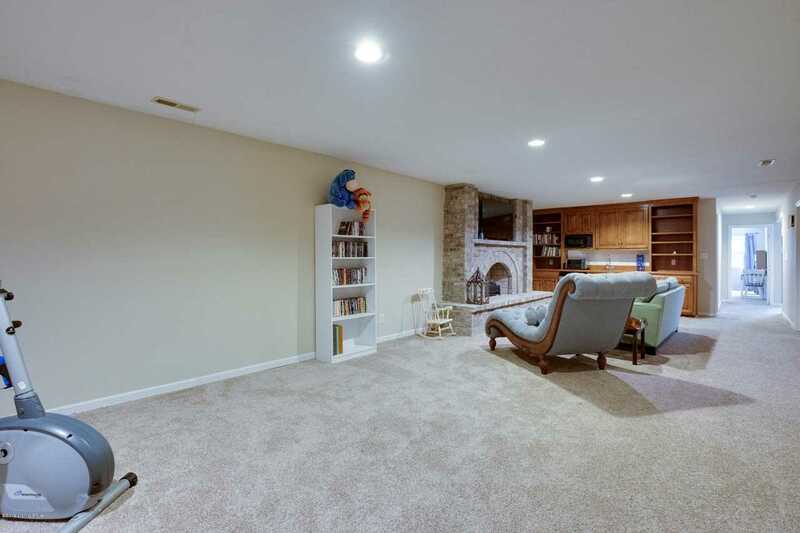 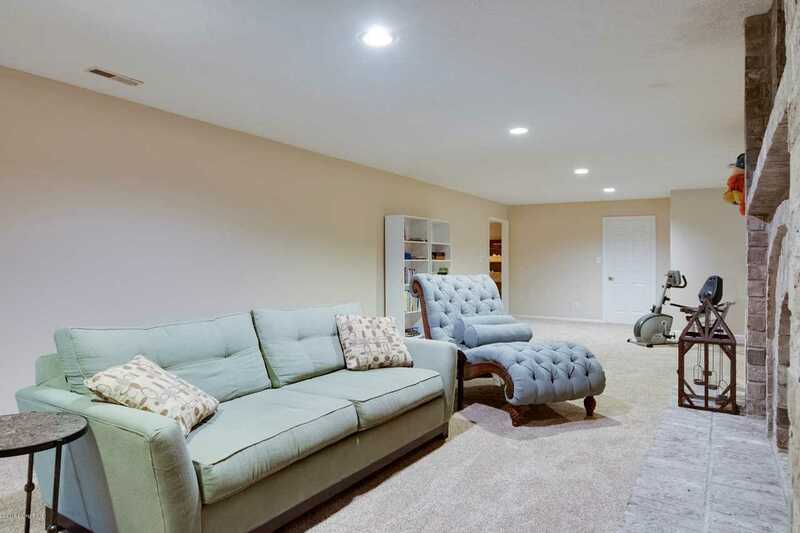 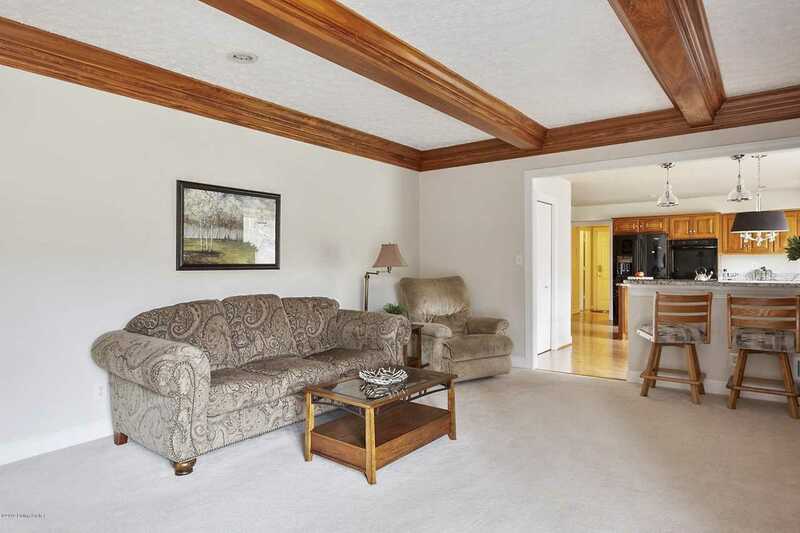 The open floor plan invites easy conversation as the family room is easily visible and accessible. 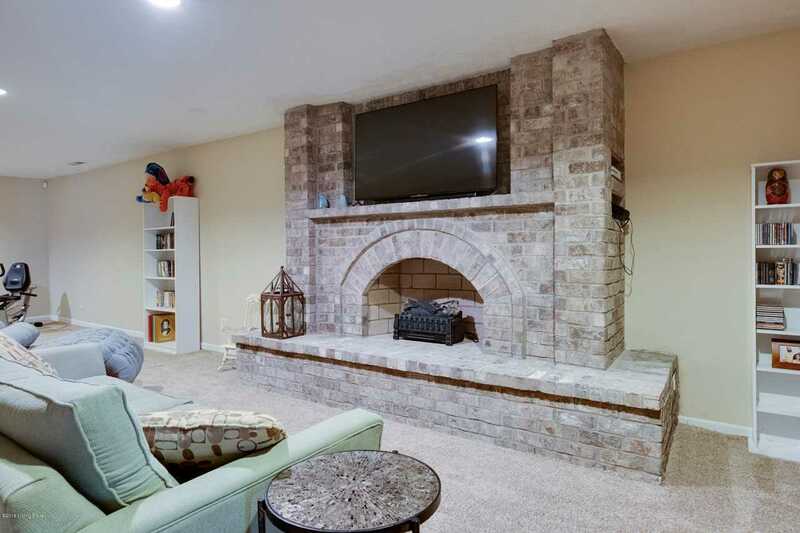 Stunning with gorgeous trim work, fireplace and access to the rear patio, this room is perfect for family evenings together. 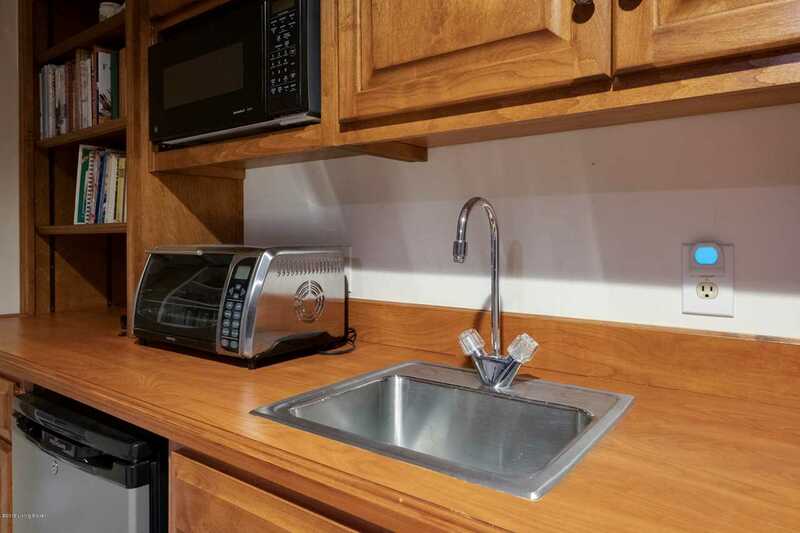 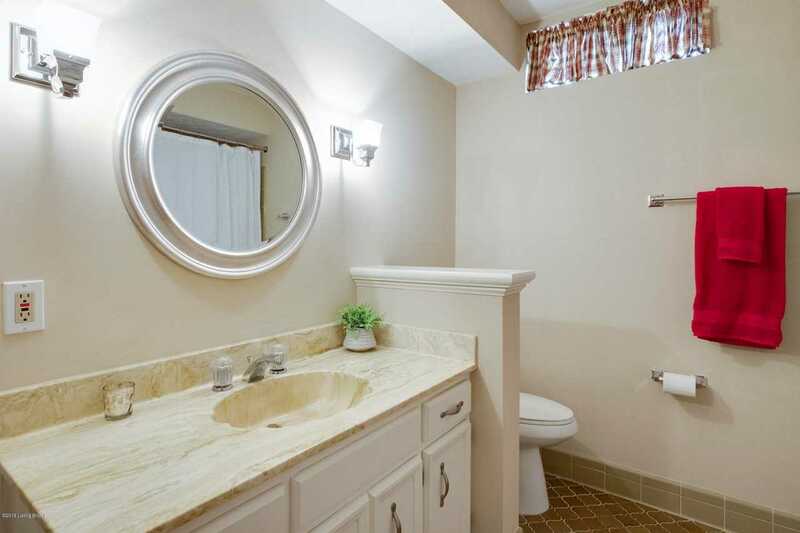 The first floor owner's suite is spacious with large closets throughout and a well-designed bathroom space. 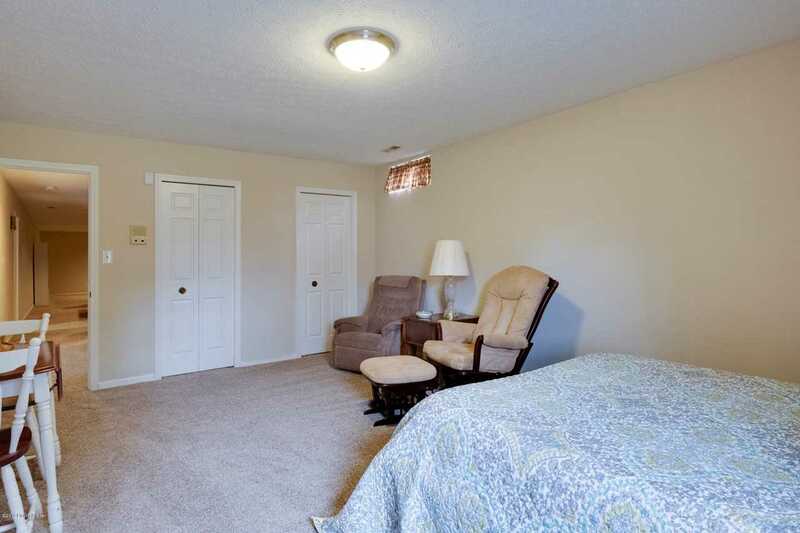 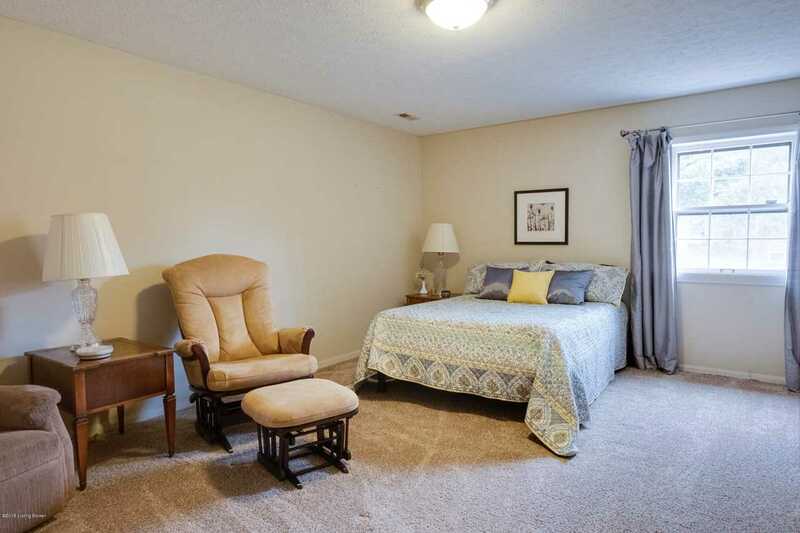 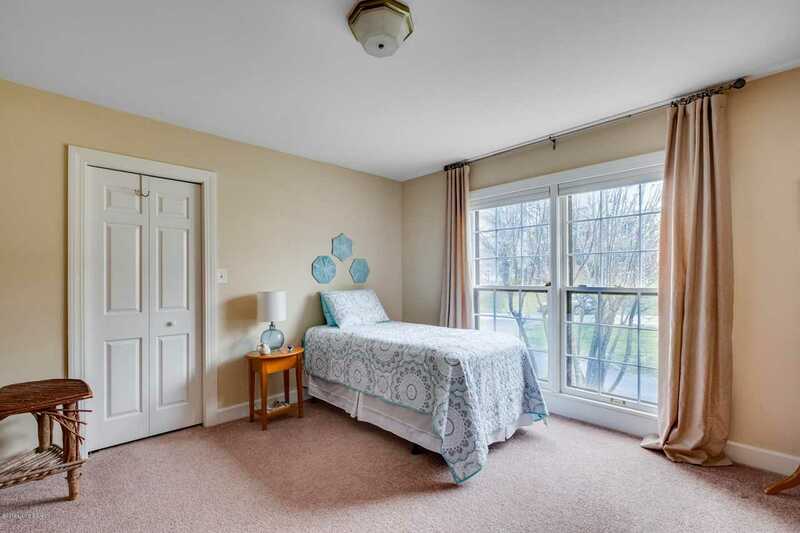 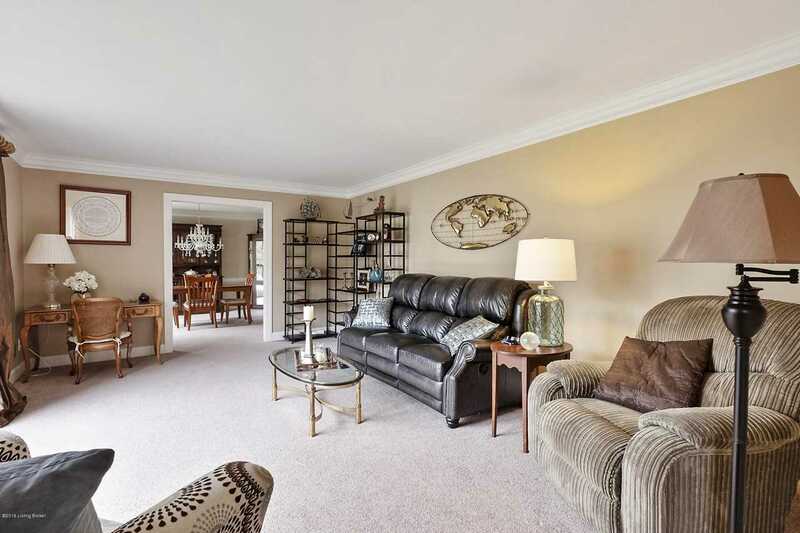 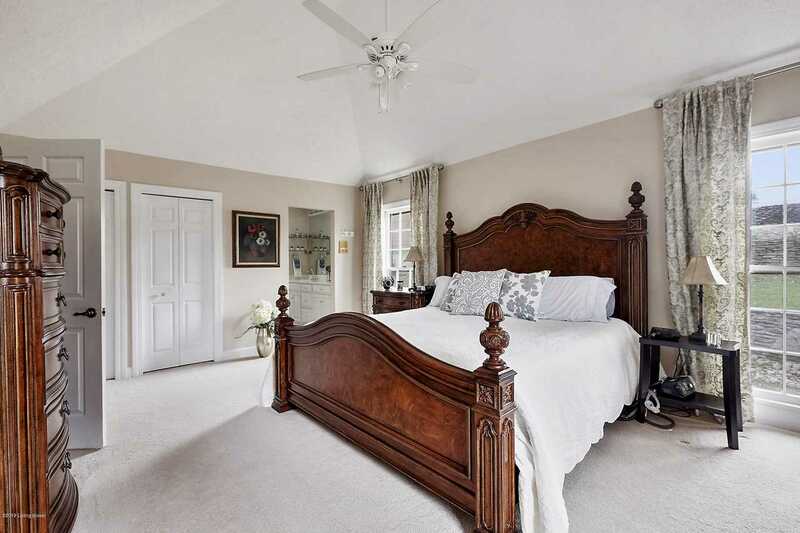 Two large bedrooms with ample closet space and a full bath are also located on this floor. 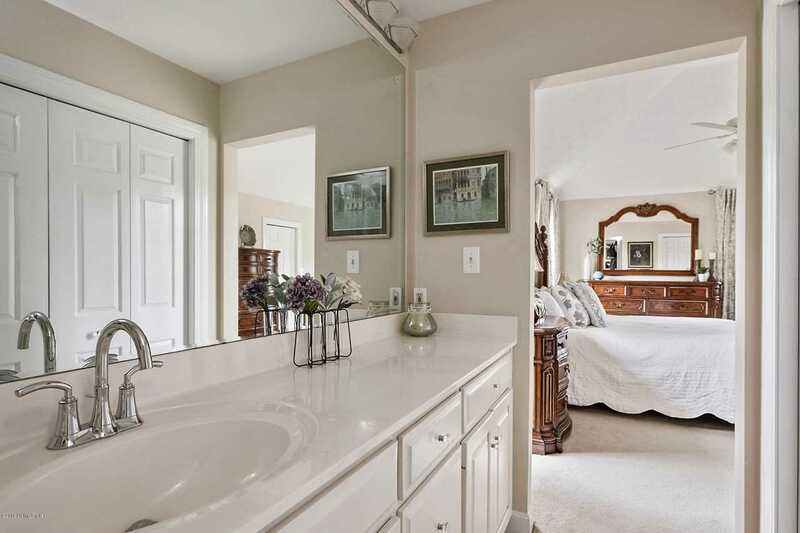 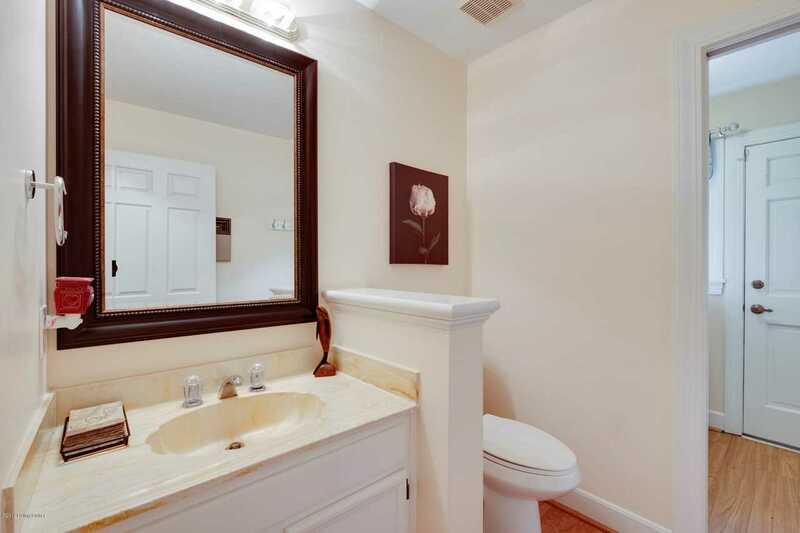 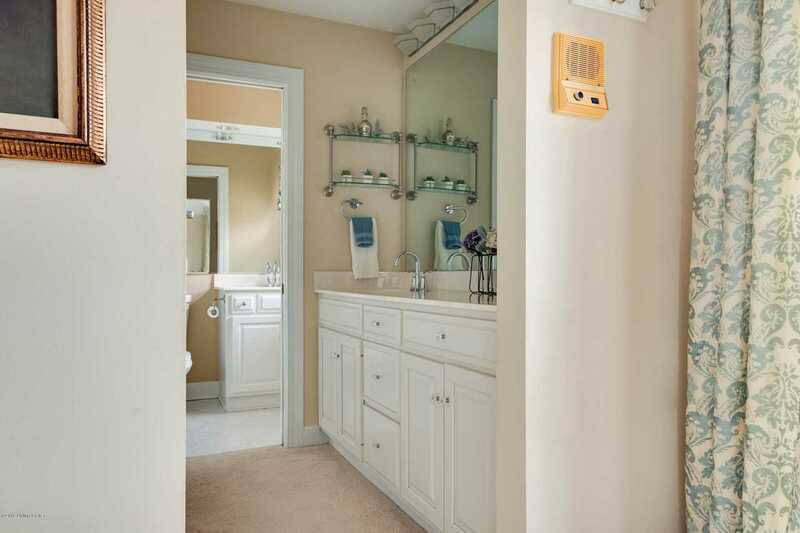 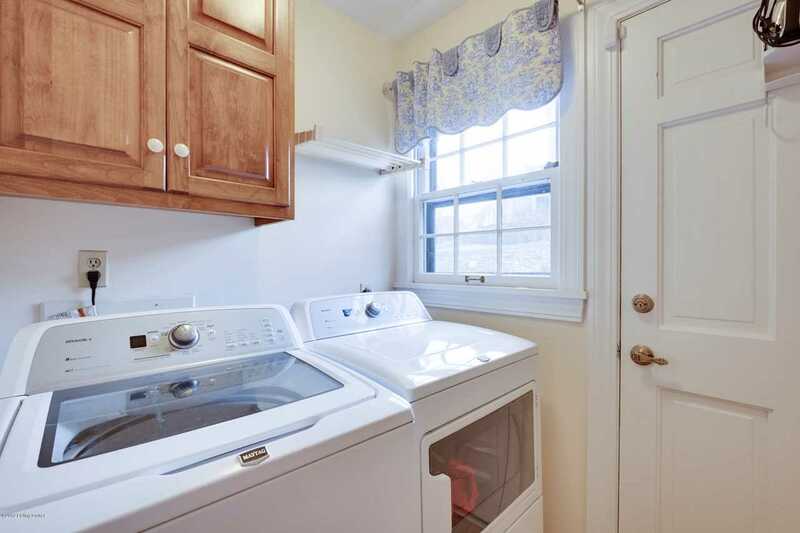 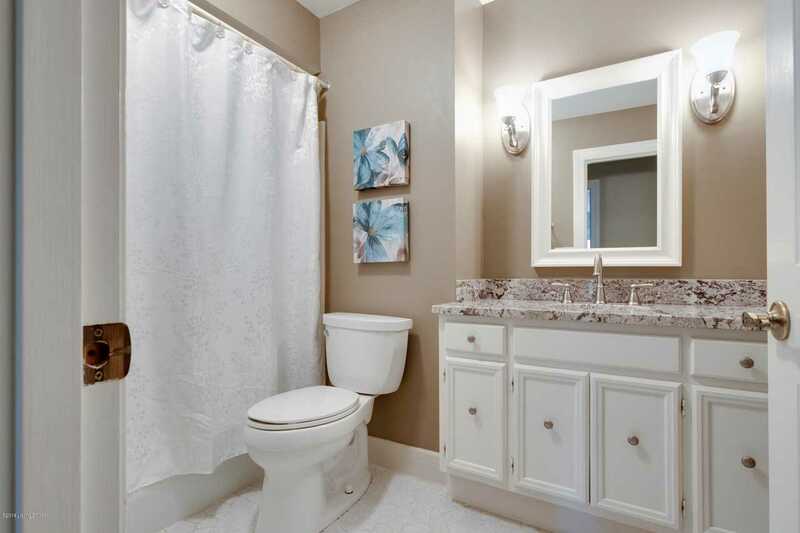 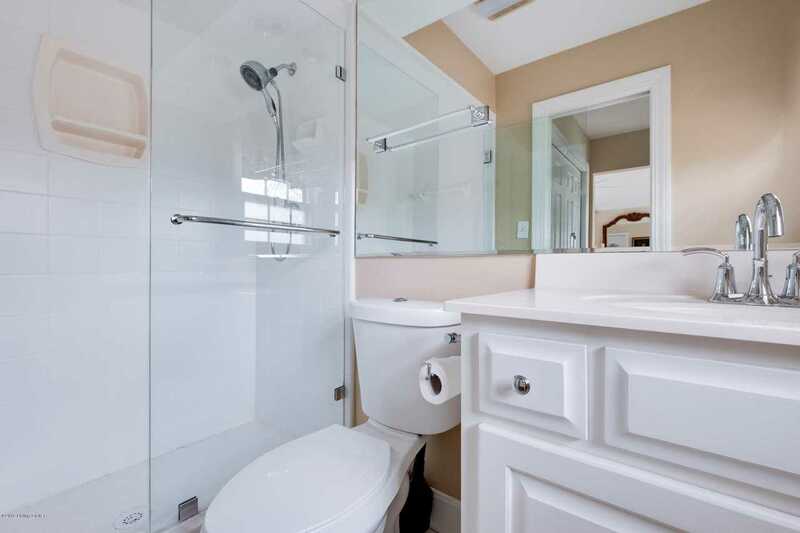 An additional powder room is conveniently located near the laundry room for ease of use. 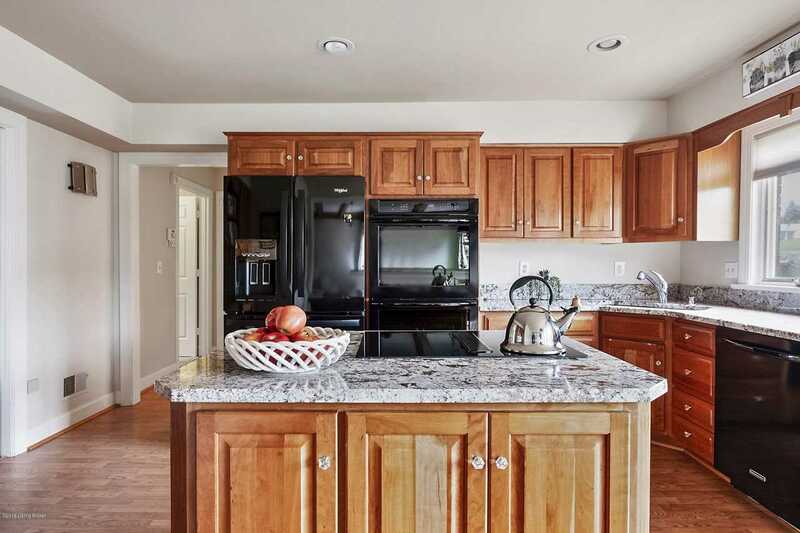 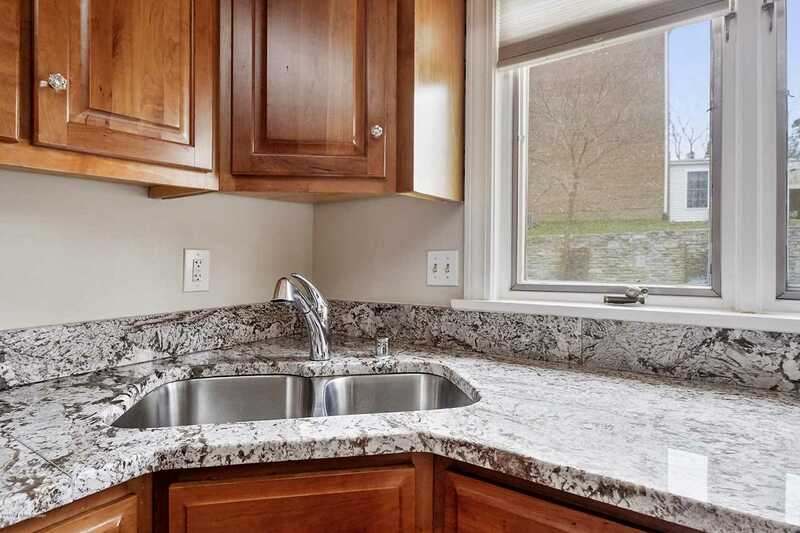 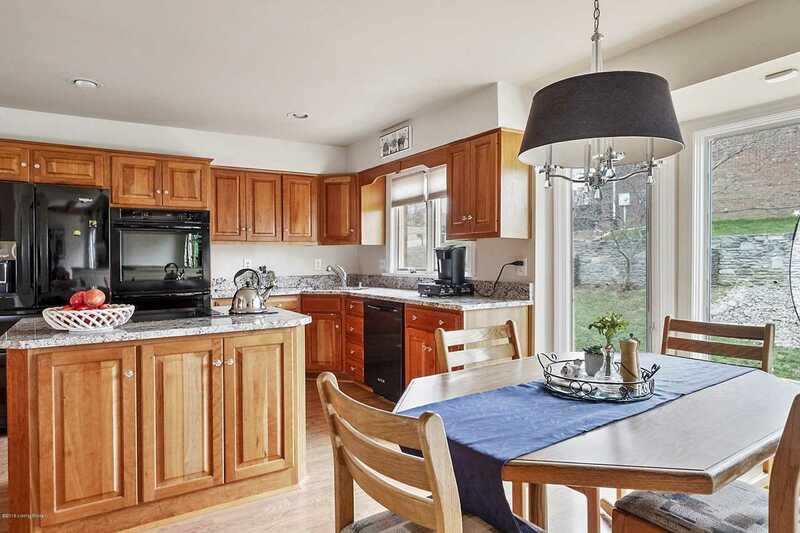 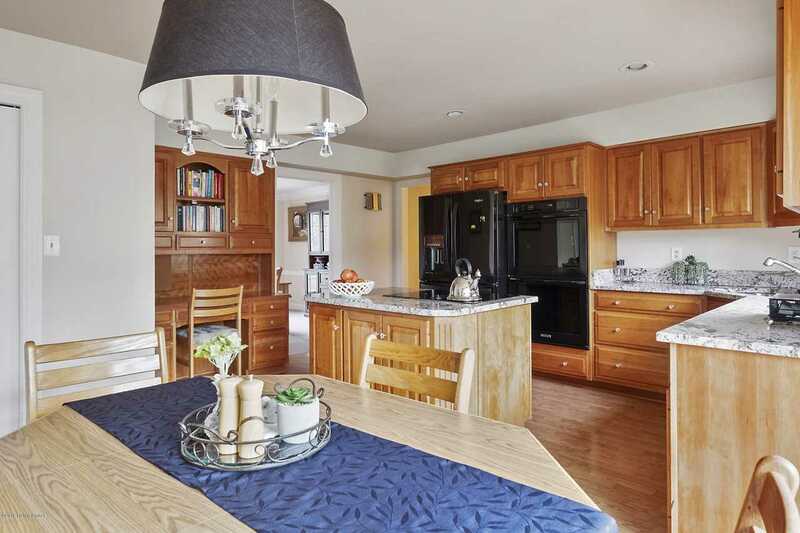 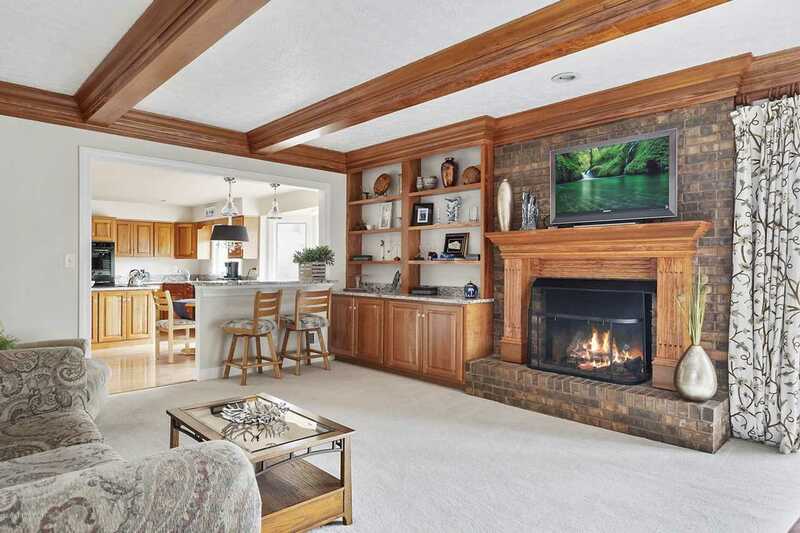 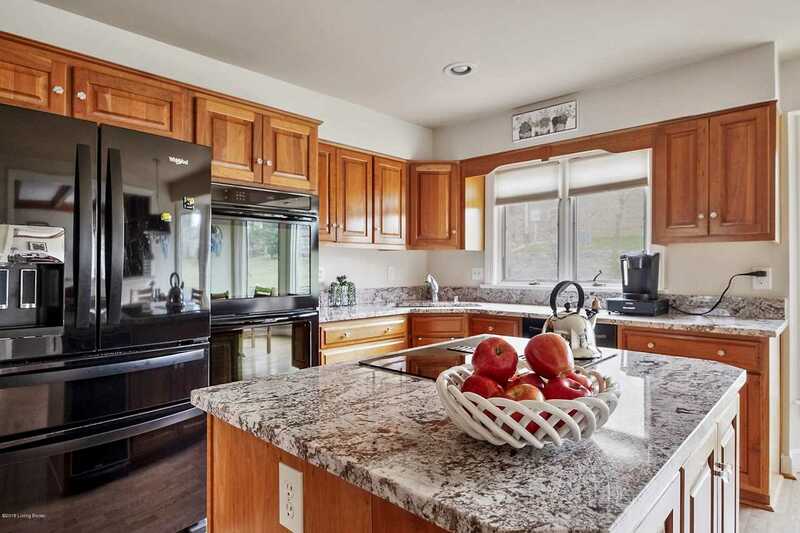 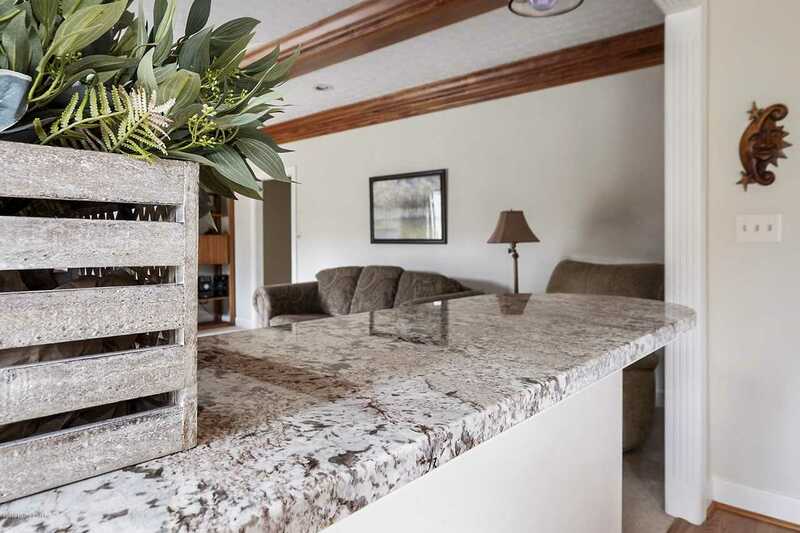 The walk-out lower level provides multiple options for entertaining with a custom designed wet bar that includes built-in cabinetry as well as a microwave and refrigerator. 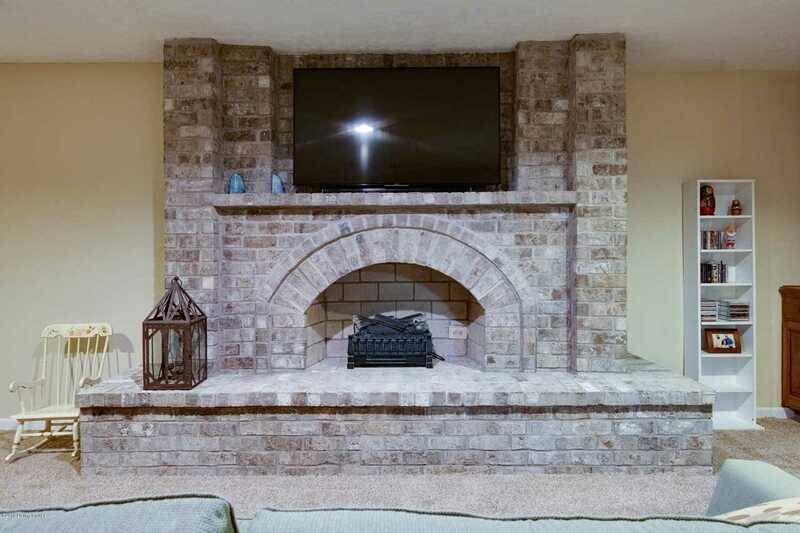 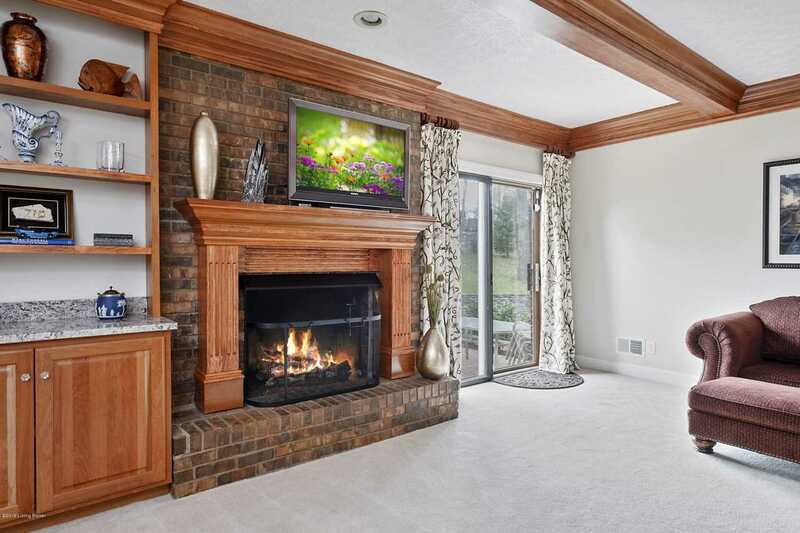 The recently added electric fireplace creates a cozy atmosphere and there is ample space for gathering. 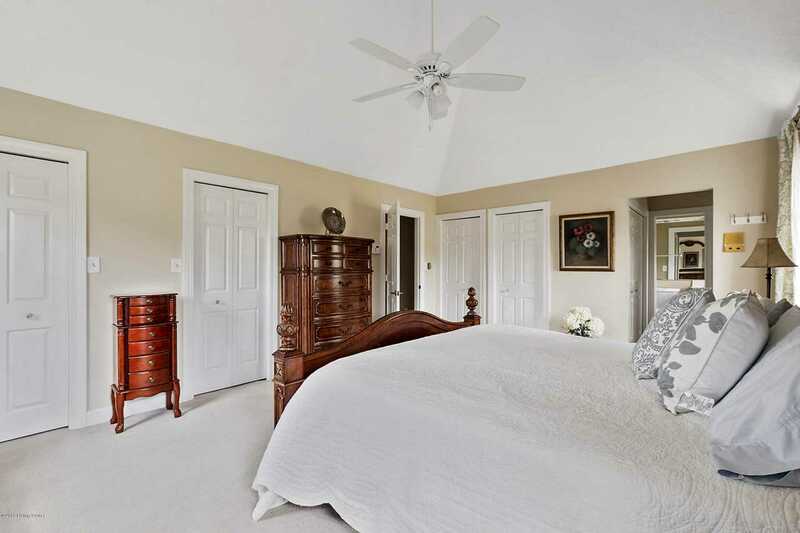 Another bedroom and full bath are located on this level, making it perfect for guests or a private retreat. 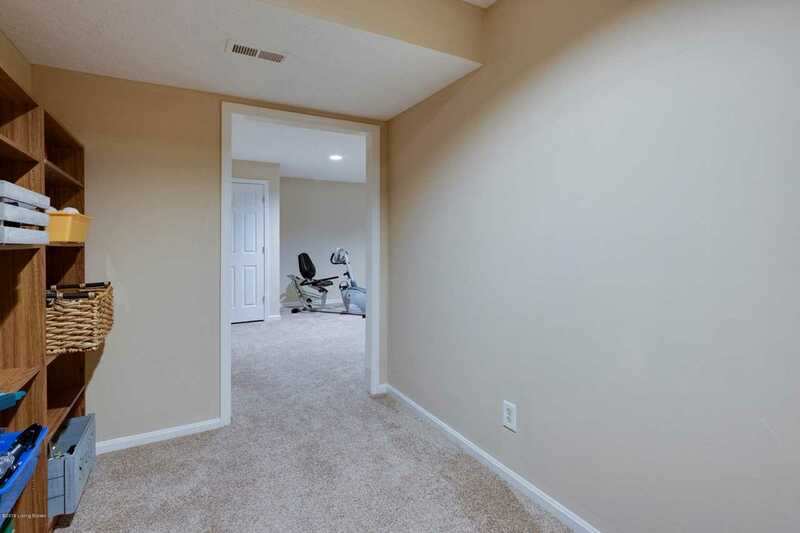 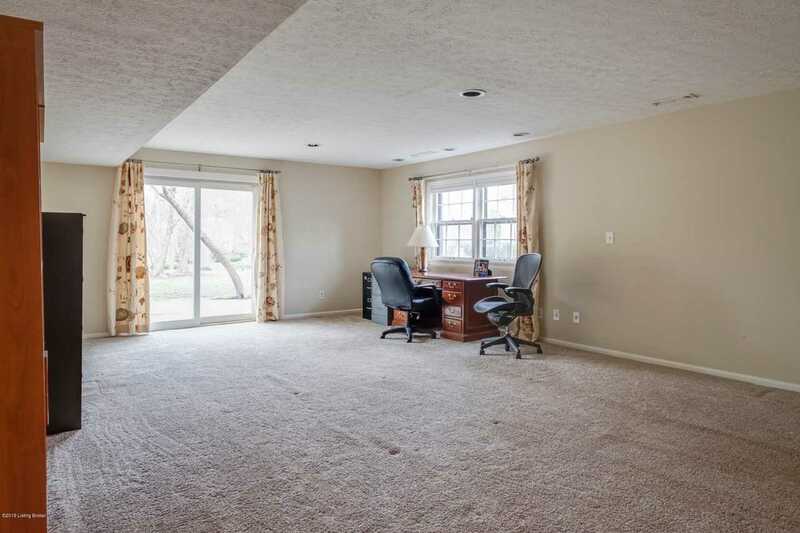 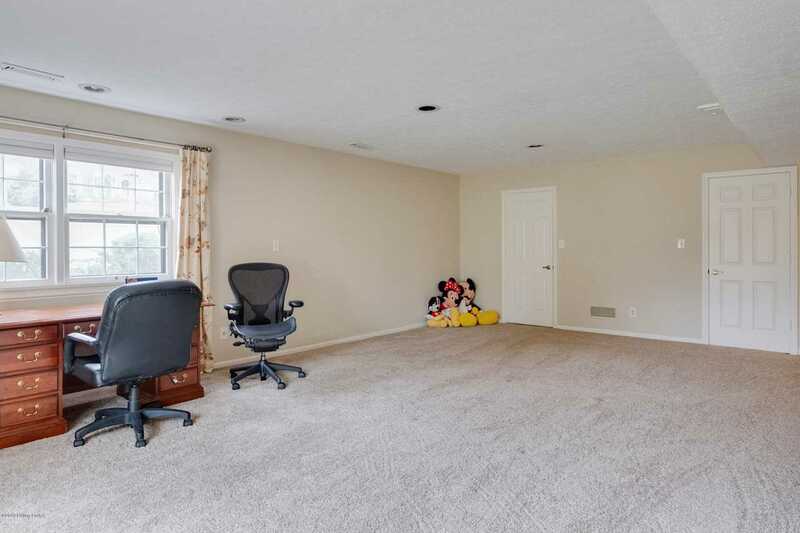 An additional family room with doors to access the side patio is the perfect game/exercise/office space for even more possibilities in this well-thought out floor plan. 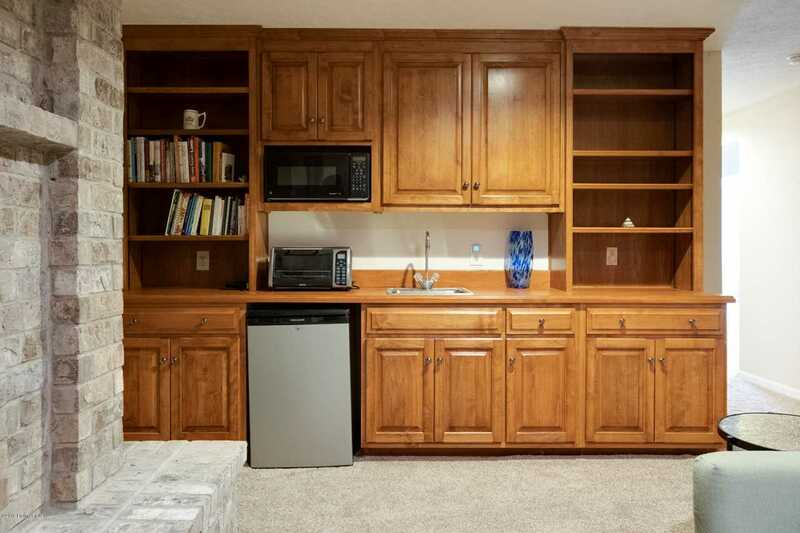 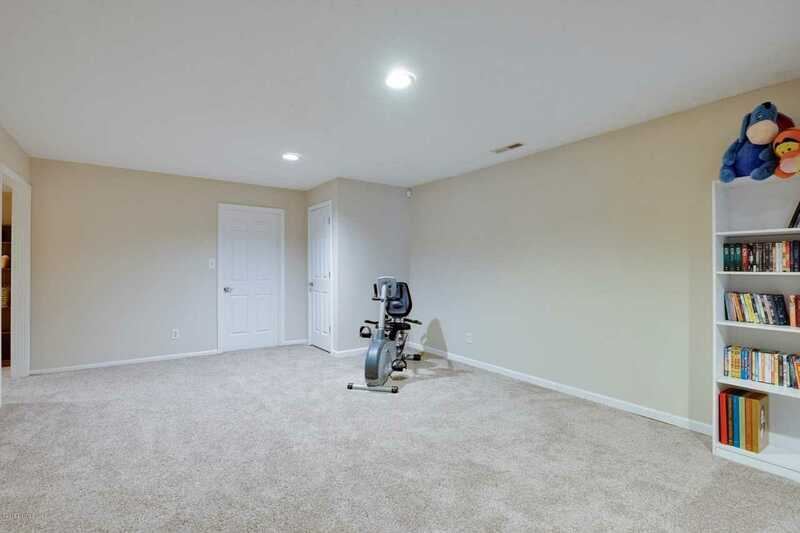 There is abundant storage throughout this home and it provides so many possibilities for optional usage of rooms. 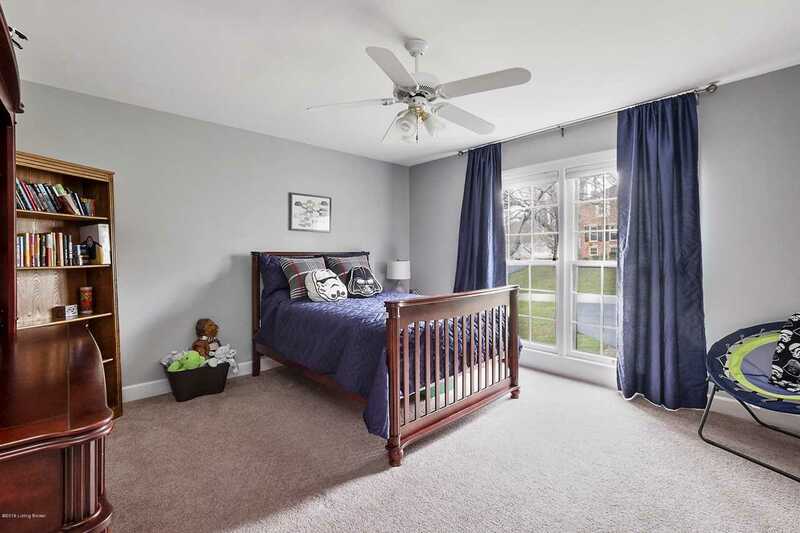 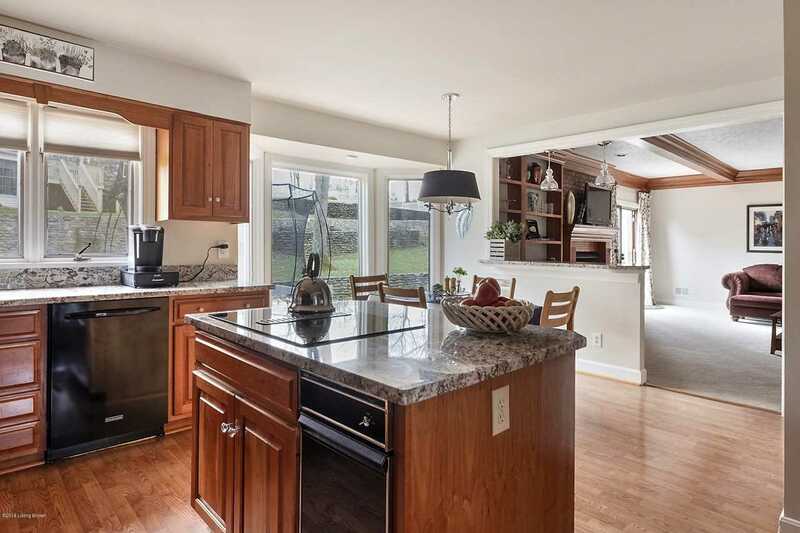 The owners are reluctant to leave their beautifully updated home, however a move is necessary for closer proximity to school and work. 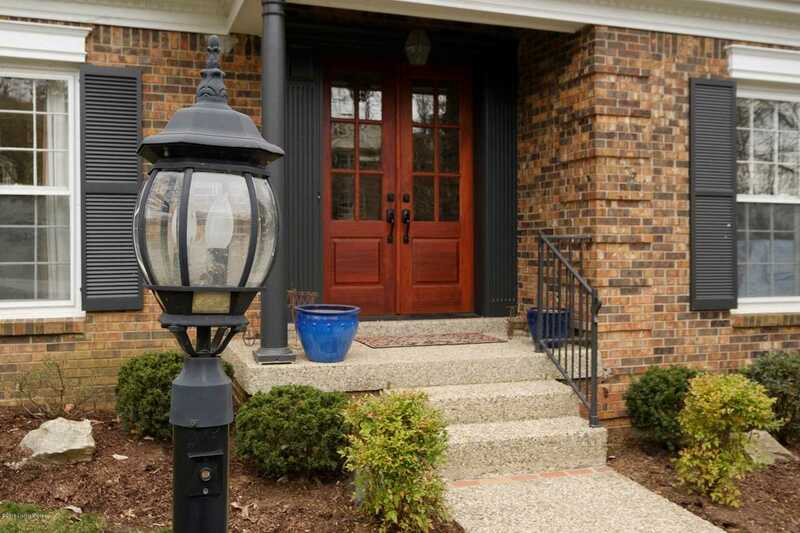 This is a neighborhood where home listings are eagerly anticipated, schedule your private showing today!